Set in the very desirable village of Harbury is this modern two bedroom, semi detached bungalow. With a real sense of privacy and high-quality fixtures throughout, this home has lots to offer its next owners. 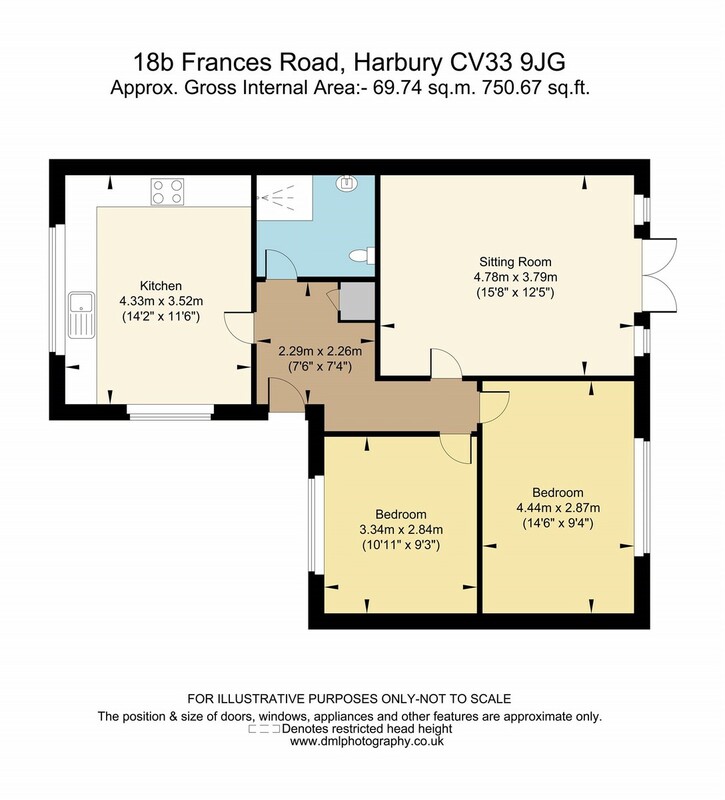 The home briefly comprises of lounge, kitchen/diner, two double bedrooms and a shower room. On entering the property, you are welcomed into a spacious central hallway. You are led through to the generous sized kitchen/diner which hosts ample storage throughout as well as electric hob and oven, integrated dishwasher and fridge freezer and plenty of space for a family dining table. The shower room is very spacious and hosts a modern three-piece bathroom suite and includes under sink storage and a heated towel rail. Flowing down the hallway you are led into a spacious lounge. The double doors that lead into the rear garden flood the room with natural light. The two bedrooms are both good sized double rooms. The master bedroom is finished to a high standard, in keeping with the rest of the home and has lovely views overlooking the rear garden. Bedroom two is also a good-sized double room. Outside, the home is blessed with a large, secure garden that is laid mainly to lawn with a small patio area. This easily maintained garden is the perfect haven for al fresco dining and compliments the home perfectly. This lovely home also benefits from off road parking for several cars, underfloor heating and double glazing throughout. Surrounded by the South Warwickshire countryside with village amenities only a short walk away, this home lends itself to rural community living at its finest.